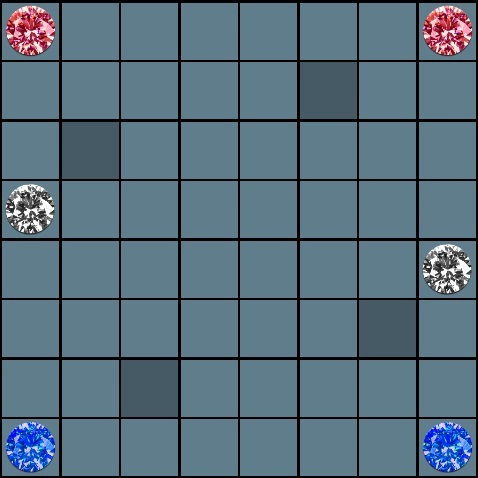 Answer of plan is 7 moves. For rules, visit category. "Rule of "Quwel" (English)"
↓　The answer is here. Copyright (c) 2015 パズル的日常・ゲーム的非日常 All Rights Reserved.